Diamond Pet Foods is a family-owned pet food manufacturing company that started back in 1970 in Meta Missouri. 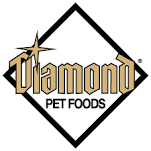 Today, Diamond Pet Foods has grown from 1 to 5 plant locations (Meta, MO, Gaston SC, Dumas AR, Ripon CA & Lathrrop CA.) with more than 800 employees. Diamond Pet foods primarily manufactures dry dog & cat food, and operates on a 4 shift schedule, 6-7 days a week.